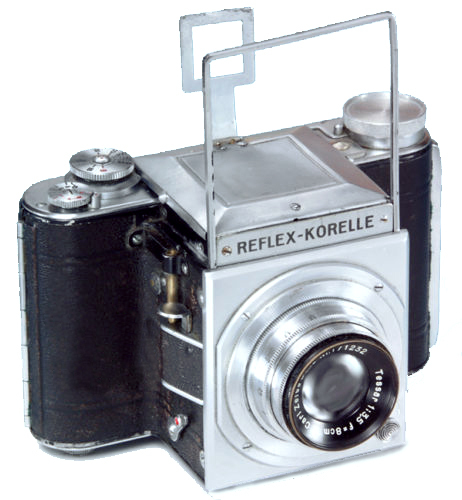 The Korelle III looks strikingly different from the previous Reflex-Korelles, which were covered with black leatherette, apart from a shiny chrome trim. 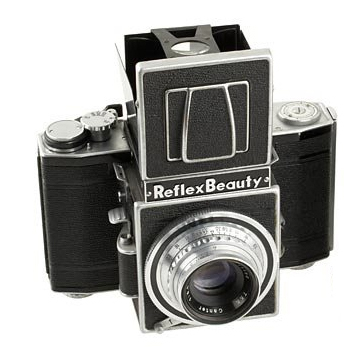 The Model III, however, has a satin chrome finish to “the whole of the camera top, including the reflex hood cover” (“The Korelle Guide”, p 14), and likewise to the lens board at the front of the camera. This model added the top speed of 1/1000, and changed the lens mount to a 56mm diameter bayonet (55mm, according to “The Korelle Guide”, p 14). This permitted the use of “extra long focal length lenses” (“The Korelle Guide”, p 14) without vignetting. Dallmeyer and other lens manufacturers produced long-focus lenses in this mount. However, in 1938 Herr Kochmann, who was threatened by the Nazi régime because of his Jewish faith, had to emigrate from Germany and the government required that the company be transferred to a different owner. 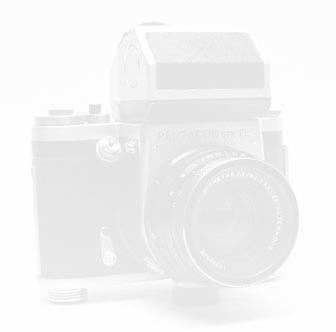 From the middle of 1940, the government required the new owner to cease camera manufacture and to use the factory instead to produce materials for the armaments industry. The factory was totally destroyed in the bombing of Dresden on the night of 13th/14th February 1945. Inspired by the Reflex Korelle?